This could have been the most detrimental hack in blockchain history. After weeks of being on the edge of our seats on the Ethereum ruckus, it is finally done: at around 14:30 UTC today, China-based Ethereum miner BW.com mined the blockchain’s 192,000th block, followed by the first block on the new blockchain, moving the funds stolen from The Dao last month to an account from where original investors can get them back. 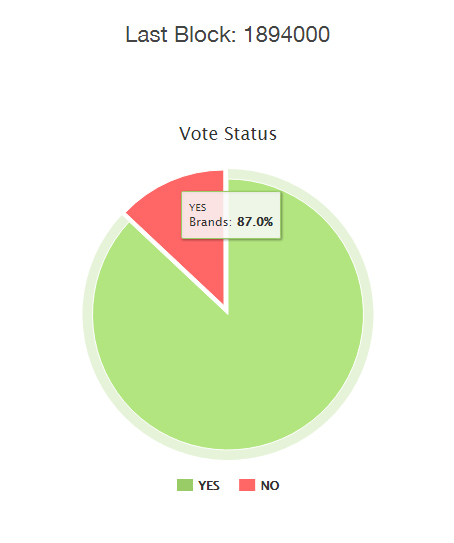 Despite opposition from a few members stating that the motion undermines the promise of decentralization and immutability, the hard fork pushed through before the July 21 deadline, with 87% of ether (ETH) holders voting for it as of last update. Last check of votes. Carbon Vote. Co-founder of Ethereum startup Slock.it and author of the original decentralized autonomous organization (DAO) code Christoph Jentzsch notes that this is an triumphant accomplishment by a community that worked together to save the system, despite differences. “Separate from the discussion of whether a hard fork because of the DAO is a good or a bad idea, the very fact, that the Ethereum community (devs, miners, exchanges, researchers, …) has come together, often setting personal opinions aside, and successfully managed a hard fork in this situation is truly remarkable. Given the time constraint, the fact that we were able to come to consensus on this matter is an outstanding accomplishment,” he wrote in his blog. 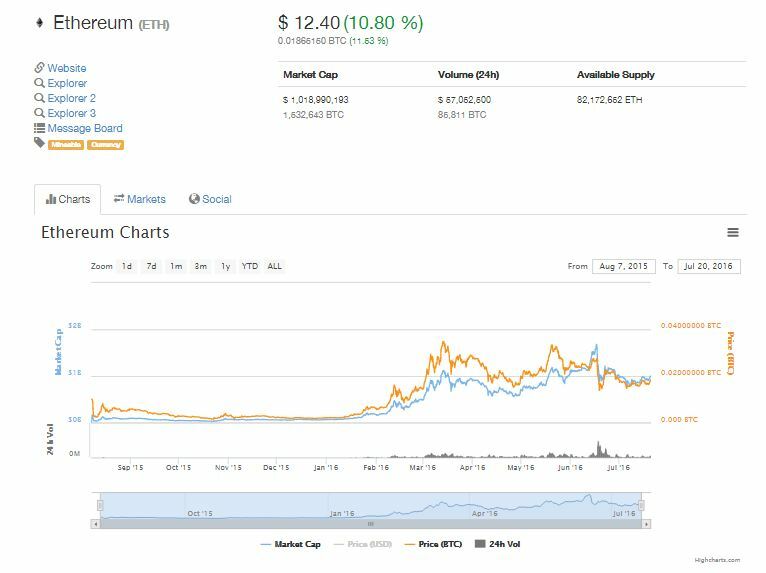 In what is the most ground-shaking hack in blockchain history, 1.5 million ether (ETH) was drained from The Dao last month, valued at around $97 million at the time. This value dropped drastically since then, and is now just around $40 million (still a lot). Despite the price drop, the original token owners can withdraw the funds at the original exchange rate of 1 ETH to 100 DAO tokens. While the implementation of the hard fork definitely provides relief for blockchain enthusiasts everywhere, the fight is not completely over. It would take some time for the market value of ETH to recover from its losses. Prior to the heist, ETH was valued at $21.50, it is currently valued at $12.40 as of last checking. ETH current value. Coin Market Cap. The public would also have to keep an eye on possible reverberations of the hard fork. And while the blockchain’s safeguards seemed to have contained the theft, we are still waiting for developers to come up with a security restructure that would keep this from happening again. Until then, we’re going to have to stay on the edge of our seats just a little bit longer.